Heading across the Wiseman's Ferry, I imagined this location in the 1800s. Turning left from the ferry, on Settler's Road, we crossed Sir Thomas Mitchell bridge. 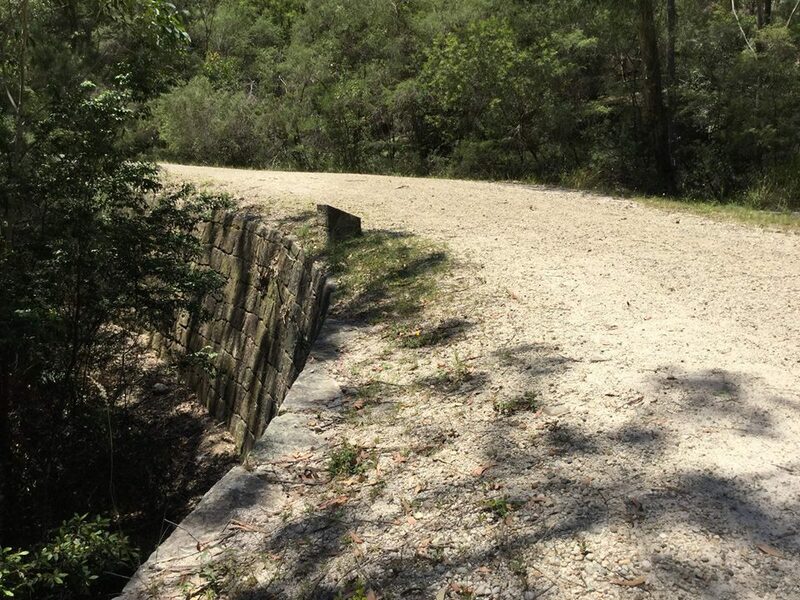 Just around the corner, we parked on the shoulder of the road, donning our sunscreen, aeroguard and armed with water, and began our historical walk along the Convict Road. The Old Great Northern Road and The Great Old North Road, depending on who you talk to, is one in the same. 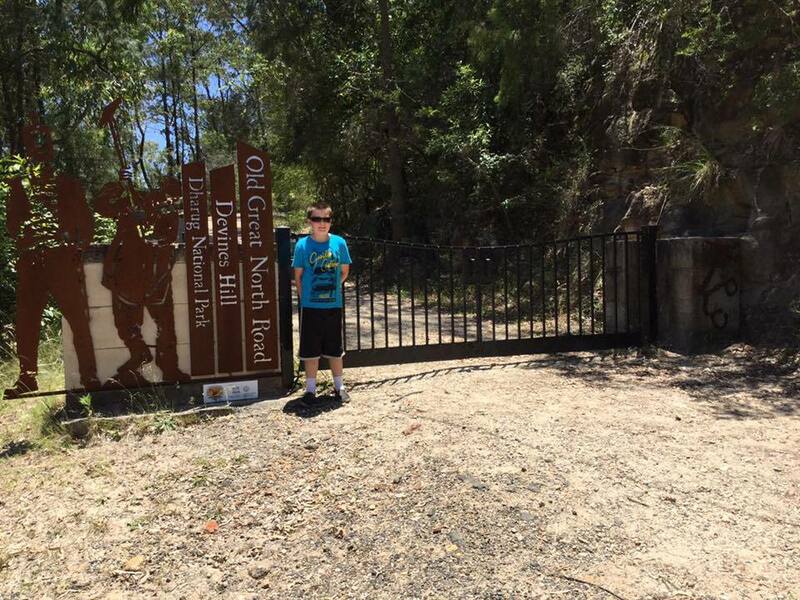 The Old Great North Road was built by convicts. This particular walk takes you to Devines Hill but we only went to Hangman's Rock. 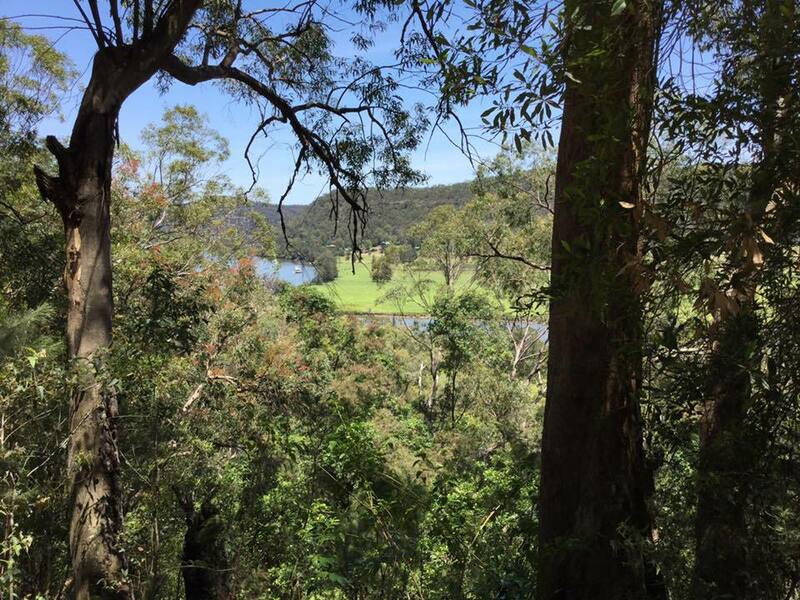 The Great North Road is 240 kms of hand built convict laboured road, connecting Sydney to Newcastle. 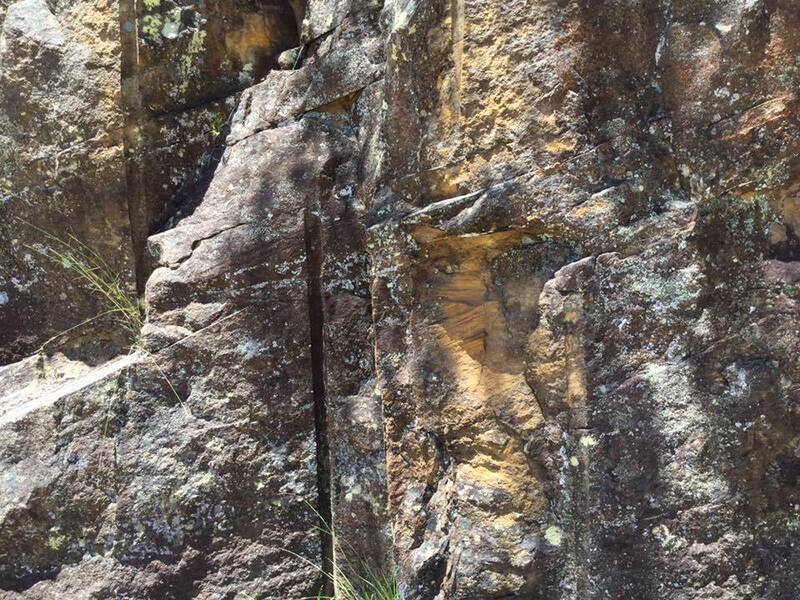 Hangman's Rock, Courthouse Rock or Cave is only 1 ½ km's into the walk. 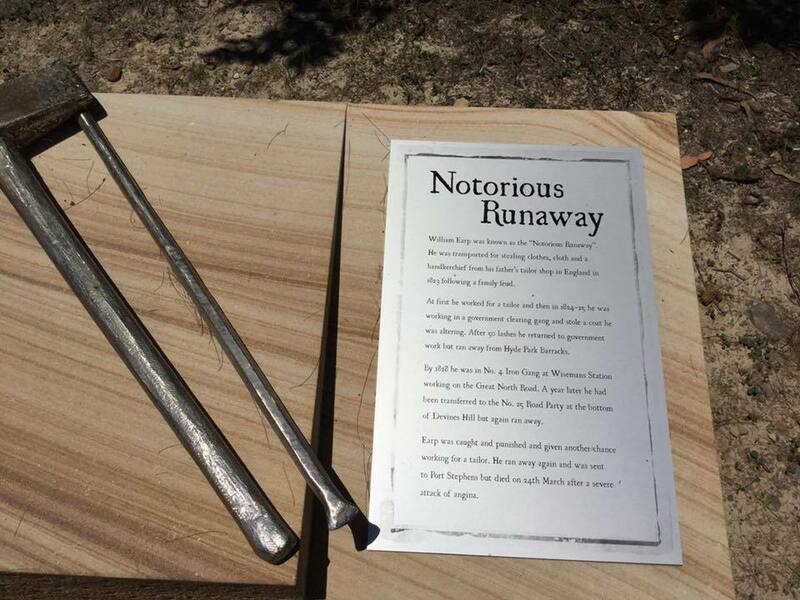 Roughly 700 convicts had a hand in this road, with them working in a 5km stretch per iron gang. An easy walk with a slight incline along the Convict road, it offers a step back in time. 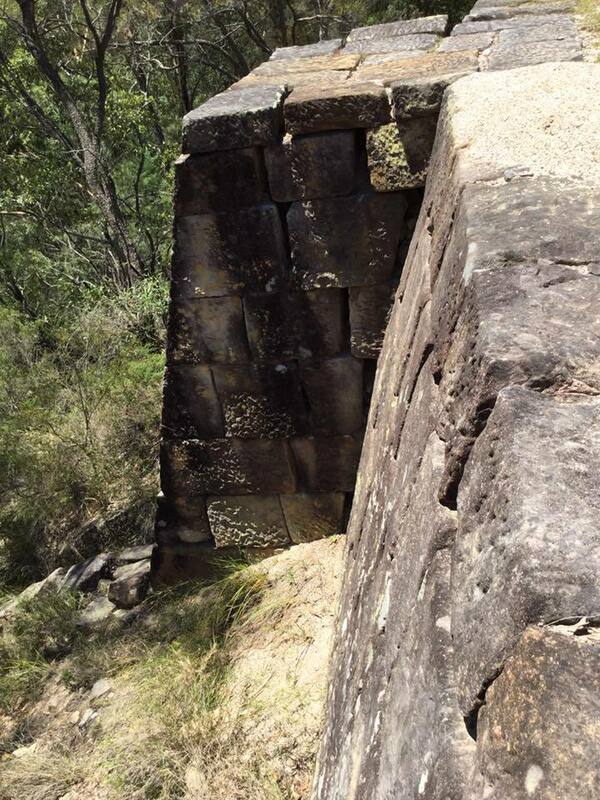 The picked stone blocks that create the walls and pillars are still in great condition today. The drainage channels are second to none. Breathtaking views of the Hawkesbury River and glimpses of wildlife, such as lyrebirds, are just part of this walk. The rocks today still have indentations where the rods were hammered into them and dynamited apart. Imagine the clanging and banging that would have echoed through the valley! If you look closely at the stone blocks, that were hand carted and placed, they still have the pick marks in them today. Imagine the extreme heat, rations and limited shelter these convicts endured as they worked in chain gangs in leg irons, building this marvellous piece of our history. There are information stations along the way that help break up the walk. Once reaching Hangman's Rock, you will see an impressive rock cave that has a hole in the top of it. 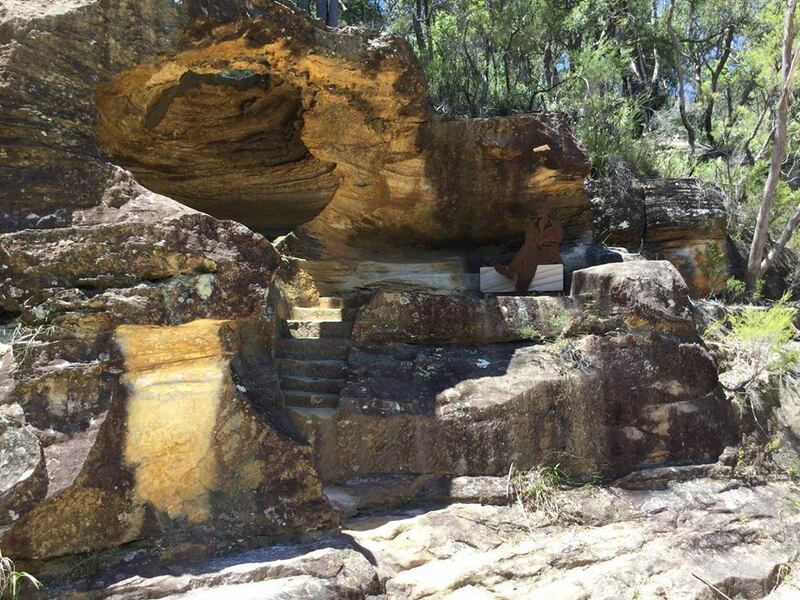 There are different stories about this cave; one suggests they hung the convicts from the trees above this rock but it's intriguing to work out the steps that have been carved in the rock underneath the opening. This could suggest two things, one, they did hang convicts here and that is how they retrieved the bodies, and two, maybe it was a sheltered spot to sit and watch the iron gangs work. Either way, it's an impressive cave and well worth the walk, which is just under an hour to get to. You can continue on to Devines Hill, but we turned back from here. Please, carry adequate water, and a couple pieces of fruit, a hat and don't deter from the main road as it is NPWS owned and their rules apply. Where's the Best Kebabs on the Central Coast? Where's the Best Candy Store on the Central Coast? Where's the Best Seafood on the Central Coast?